The new colorCONTROL ACS7000 color measurement system is designed for industrial color measurements. The system not only measures colors to the highest precision in a non-contact manner, but also compares these with set point values, enabling trend analyzes. And there is still a lot more potential in this color measurement system. Vehicle lights have to function 100% reliably and must be delivered in the correct color. The LED Analyzer enables 100% reliable control, ensuring the correct color and intensity at the end of the production process. 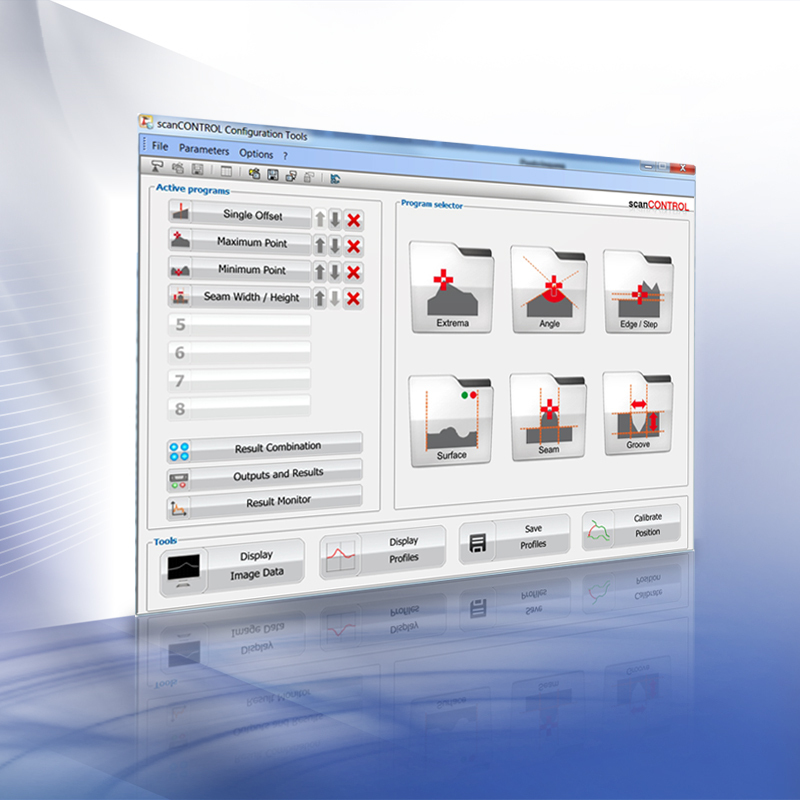 The latest software tools for scanCONTROL laser profile scanners are now available as downloads or CD. The new version 8.1 comprises the Configuration Tools 4.2 parameterization program, the scanCONTROL 3D View 2.5 visualization software and the Software Development Toolkit (SDK) with examples for C/C++. The draw-wire displacement sensors of the MK46 series convince with their compact design, optimal price/performance ratio and long service life. The robust plastic housing makes the sensors suitable for industrial applications. They are now available with voltage or current output. Temperature is one of the critical factors that affect measurement results. In order to eliminate the influence of temperature fluctuations, sensors from Micro-Epsilon are actively temperature-compensated. With conventional sensors, these effects are often not mentioned in the datasheet, as these sensors are not actively compensated and therefore provide insufficient measurement results in the case of temperature changes. 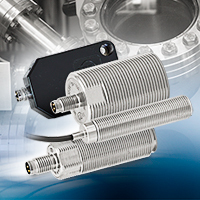 Magneto-inductive displacement sensors from Micro-Epsilon are versatile in terms of their installation options and are increasingly replacing inductive sensors, switches and Hall Effect sensors, particularly where these types of sensors are operating at their limits. The mainSENSOR from Micro-Epsilon provides a linear output signal and can be immersed in non-ferromagnetic objects, flush mounted or protruding without influencing the measurement accuracy. Two become one - this accurately describes the mainSENSOR developed by Micro-Epsilon. It makes use of the magnetic and inductive sensor technologies and combines the advantages of both techniques. The mainSENSOR is predestined for industrial displacement and position measurement tasks where large measuring ranges at low cost and high volumes are required. The new scanCONTROL 29xx-10/BL laser profile scanner shows its strengths in applications where extremely high resolution and precision are required. The 10mm laser line enables a high x resolution with 1280 points. The blue laser line used is focused significantly sharper as the light does not penetrate into the measurement object. Therefore, scanCONTROL 29xx-10/BL measures very small objects with absolute precision and has a leading position in its class. Functional and optically perfect - these are two important requirements placed on airbag stitching. During the production process itself, these stitches are inspected using a scanCONTROL 2910-25 laser profile scanner. The distance between the stitching and the separating point between single components, as well as the height difference between both components are detected which, in contrary to the camera technology, functions independently from the color and brightness differences.